College is Within View & Within Reach! The college-bound journey is exciting and overwhelming - full of both possibilities and potential obstacles. What is the "right" school? Will my child get in? How will we pay for it? 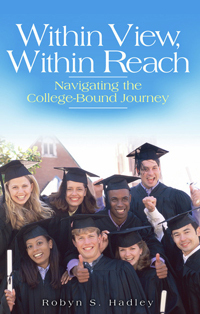 Within View, Within Reach is a How - To guide for parents that educates them about the world of college admissions and how you can best assist your teenager in finding the right college and paying for it. Each chapter is filled with practical points and bright ideas to help your child get in the right fit college and to help you find the resources to make it happen.